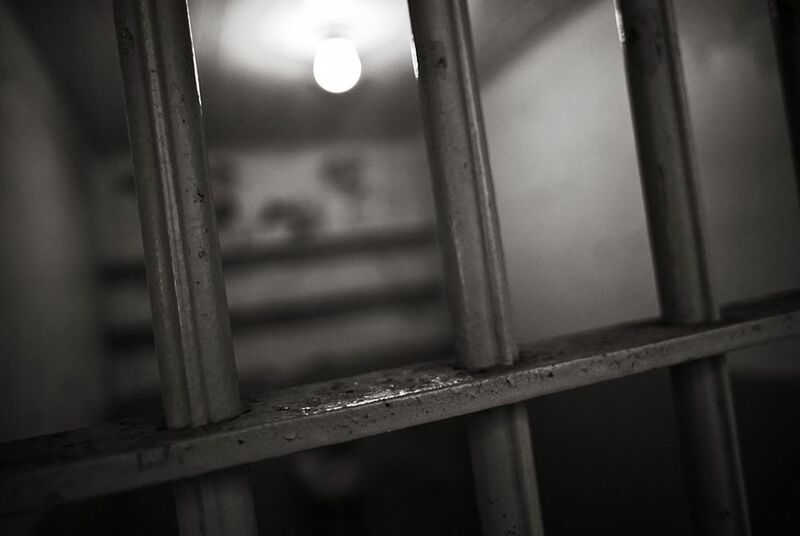 Texas county jails have seen an almost 60 percent decrease in suicides from last year. Since December 2015, 14 county jail inmates have taken their own lives, a drop from a record 34 suicides between December 2014 and November 2015. In the five years before that record, inmate suicides averaged 23 a year, according to the Texas Commission on Jail Standards, which monitors county lockups across the state. In that 2015 record year, Sandra Bland was arrested by a Department of Public Safety trooper in Waller County and died three days later in the local jail, drawing national attention and scrutiny from lawmakers, policy analysts and activists over how jails identify and respond to mental health issues. Last fall, lawmakers and other officials set their eyes on the screening tool, also called an intake form, used by jails to determine if inmates are suicide risks. Previously, jails asked inmates to self-report medical problems, mental health histories or intellectual disabilities and indicate if they felt depressed or suicidal, among other inquiries. The new screening forms use multiple questions to try to elicit the same information and give jailers lengthier instructions for responding to inmate answers. The revised form alone did not cause the "dramatic drop," said Brandon Wood, executive director of the Jail Standards Commission. "There's a lot of different factors at play there, and we realize that," he said. "Did it help drive the conversation? Did it require counties to become more vigilant in screening? Yes. Even after screening it still requires observation of the inmates. It requires services be provided. The form itself is only one part of the issue." "The form gave the counties a fighting chance to identify these individuals," he said. "After identifying them, they're required to provide mental health services. That caused quite a few counties and local mental health authorities to really take a look at the services that were being provided." The form and counties' working with local mental health authorities made the difference, said Jackson County Sheriff Andy Louderback, legislative director for the Sheriffs' Association of Texas. Counties need funding to provide mental health training for jail staff and crisis intervention training for local mental health authorities, he said. "That would go a long way toward trying to achieve a zero number," Louderback said about suicides in county jails. "We have to be supplied by the state, by the local mental health authority, and they have stepped up," he said. "So when you ask for greater services and it doesn't come with funding, then that would be referred to as an unfunded mandate by the state." With jailhouse suicides still happening, the revised intake form is obviously not a catchall, policymakers and analysts have said. At a recent House County Affairs Committee hearing, criminal justice policy expert Michele Deitch offered several recommendations, including diverting populations with mental illness and substance abuse histories, reducing inmate counts across the state, enhancing suicide prevention techniques and having an independent ombudsman as part of county jail oversight measures. "It's necessary," Deitch said about bringing in an ombudsman. "We realized that we needed to do that back in 2007 for the juvenile system. We needed to put that in place when we realized we didn't know what was going on in these facilities and kids were being hurt, and we've seen the extent to which having that ombudsman increased transparency about what was going on in the facilities and made the kids much safer." "We need to be taking those same steps with protecting our inmates in the jails and making sure that there are ways to identify their concerns, address their concerns and make sure that they're being kept safe," said Deitch, also a senior lecturer at the University of Texas LBJ School of Public Affairs and School of Law. Rep. Garnet Coleman, D-Houston, County Affairs Committee chairman, later called Deitch's ideas close to "the gold standard" in needed county jail reforms. He said it would also go a long way if officials would push for statewide adoption of policy proposals from Bland's mother's settlement of the family's wrongful death lawsuit against Waller County and the Texas Department of Public Safety. Local law enforcement officials, especially sheriffs from small, rural counties, have expressed anxiety about their jails being mandated to make changes and left to foot the bill themselves. Lawmakers, law enforcement officials and policy analysts generally have pushed for funding. Whether it's likely is something that remains to be seen, but Coleman says the reforms have to happen — in every part of the state. "One person ought to have what somebody else has and know they're as safe going in a jail with two cells as one with 9,000," Coleman said. In all the talk about suicides in jail, Coleman said he does not want law enforcement groups to not share in the responsibility of putting people in jails to begin with. Bland, whose death sparked many of the calls to action, shouldn't have been arrested and placed in an environment that led to her death, the Houston lawmaker said. "The trooper created the problem," Coleman said. "He escalated the situation. Had he not done so and had he not stopped her just because she didn't signal, she would have never been in that jail." The family of Sandra Bland — the woman who died last year in a Waller County Jail cell — reached a settlement with Texas officials in their wrongful death lawsuit. In the wake of the hanging death of Sandra Bland and other recent suicides, the state agency that oversees jails issued a revised inmate intake form so jailers will ask more specific, direct questions when booking people. A Texas Senate panel reviewed jail standards and mental health in September 2015. Following the controversial arrest and death of Sandra Bland in Waller County, a Houston lawmaker in July 2015 convened a Texas House committee hearing to review trooper arrest procedures and state jail standards.